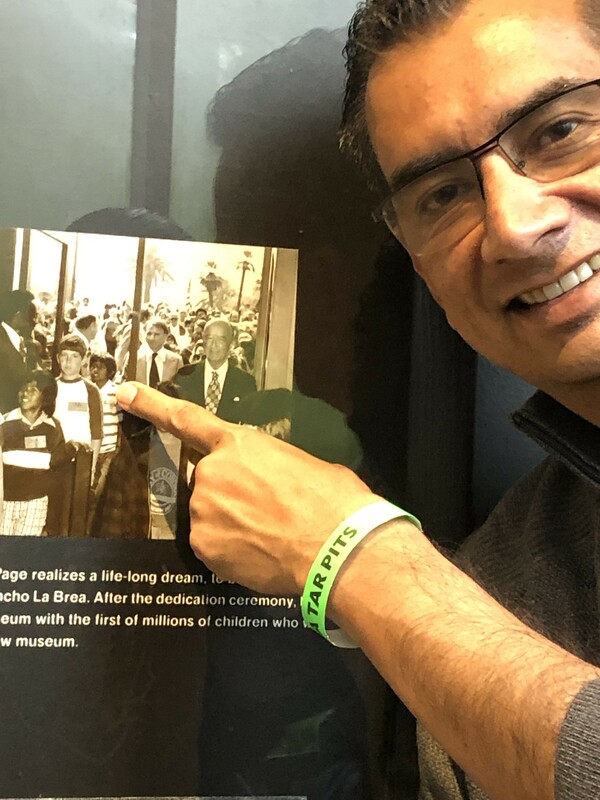 I recently took my family to The La Brea Tar Pits Museum in Los Angeles. This was the first time I had been back to the museum in 42 years! I was lucky enough to be part of the 6th grade class that was invited to the museum’s grand opening. Walking through the museum, I was blown away to see a photo taken at the grand opening. I was in the photo! Yes. That’s me in the photo taken 42 years ago. I, of course, had to take a selfie with my 11-year-old self, and I posted it on my Facebook profile. Right away, I received “likes” from my friends and family, and I got a good feeling to see all the people celebrating this event with me. Yes, I admit, I keep track of the “likes” and comments on my posts. I don’t post often, so when I post, I like to see who is “liking” what I post. Is that bad? As I was scrolling through the names of those who were “liking” and commenting, I was surprised to see the name of my district’s Assistant Superintendent. He “liked” my post. He even left a comment. I have to say, seeing his name on my list of “likers” gave me an extra good feeling. It caused me to think about that. Why did his “like” cause me to feel an extra dose of happiness? The reason, I believe, is because I consider him one of my leaders. He holds a position of authority in my life, and as a result, having him “like” my post has a little greater meaning. Although, I follow many friends, family and colleagues on Facebook, I am not a prolific “liker.” I don’t click the little thumbs up icon on too many posts. After experiencing that extra good feeling when I saw that my leader “liked” my post, however, I realized that as a school leader myself, I have an opportunity to send my Social-Media-posting staff members an extra good feeling as well. Also, on the other hand, what subtle message am I sending my staff if I don’t like their posts? My assistant principal doesn’t like my kids. I know that’s an extreme example, but you know what I mean. So, I’ve decided to be a “liker,” especially on posts shared the teachers at my school. I’m careful to not like posts that share an opinion on any controversial topics, of course, but if my teachers are sharing their kids’ awards or vacation pics, I’m hitting the “like” icon. Then I asked the question: Why do I have to wait for a teacher to post something on Social Media for me to demonstrate that I “like” it? Why can’t I be a “liker” off of Social Media as well? In most of the books I’ve read, the most successful leaders communicate to their “followers” that they are appreciated and valued. How well do we do this as school administrators? 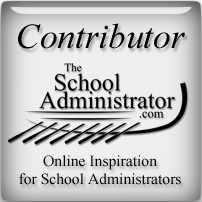 I believe that as school administrators, we need to fill our days with moments of encouragement. We need to make it a point to be a leader that recognizes and rewards the amazing people on our school site. I believe we need to start thinking out of the box to find ways to recognize and reward those on our staff who are doing amazing things. Otherwise, we run the risk of being a leader of a staff full of unmotivated and uninspired teachers. I was reminded that as a leader, I have the opportunity to give those extra good feelings every day with a compliment or a word of encouragement. I often spend my time finding what’s wrong and working to fix it, but I’ve decided to take my own advice and begin to “like” what my teachers and staff do more often every day. I would encourage any school administrator to start looking for the good that your staff is doing and finding a way to “like” it. Let’s give that extra good feeling more often to our amazing teachers and staff. Until next time, here’s to our journey toward School Administration Mastery!